Depending on the speed of your internet connection, you may have to find some patience from somewhere and sit tight for an uninterupted viewing of the video’s. If you’re having trouble watching a clip, pause or stop it and wait until it’s loaded fully. This is due to internet speed and file sizes, and is no reflection of the original high quality of the material. You will need Quicktime in order to view these videos. Click here to download it if you haven’t already got it installed. 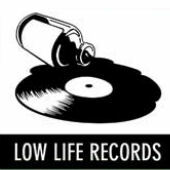 Look out for the relaunch of www.lowliferecords.co.uk which will include a new store with ‘pay for’ mp3 downloads of the entire Lowlife Records back catalogue as well as the best UK hip-hop from other labels. New albums from both Braintax and Rodney P are in the pipeline for 2006! The lead single from Jehst’s debut solo album ‘Falling Down’, this self produced track featuring Usmaan on chorus has a great beat with an old skool vibe which the drifter drops lyrics over impressively. The video see’s him dropping science during a jog around the block and a ride on the bus. A masked Asaviour makes a haunting appearance throughout. With a stylish split screen throughout, this is proof that video’s without Hollywood budgets can be just as classy and polished as that MTV stuff. Again from the album ‘Falling Down’ this video to the atmospheric track see’s it’s artist and guest Asaviour suited up in dim offices. The visuals compliment the track’s title and topic, using a double split screen which makes a one location video compelling to watch. Featuring another cameo by Skinnyman where he trys to rip off Rodders once more, this stylish and entertaining video is set in a cinima’s lobby and theatre and includes some animation towards the end. It’s another solid track taken from the popular ‘The Future’ LP. This is an extremely smart and impressive video which remains entertaining with it’s few locations and scenes. It’s nicely chopped up and has been filmed with a great colour treatment that adds a rootsy old skool vibe to the overal treatment. The track’s a classic and taken from ‘The Future’ LP. As if he wasn’t already the UK artist with the best collection of promo video’s, Rodney P decided to treat his audience with a second video treatment for the ‘The Future’ LP’s single ‘Trouble’. This time it’s a cool animated affair, in a rough cartoon style set in the desert. There’s a subtle military and political vibe. Taken from the very enjoyable EP ‘Music Mystro’, this Harry Love produced number does it’s title justice as Myst drops tight lyric after lyric. The visual is a fast paced affair which matches the beat well, with tons of locations and lots to observe through several playbacks. Everybody’s favourite open mic host sustains his reputation as one of the most entertaining and charismatic rappers on the scene. Harry Love makes a cameo. Many thanks to Lucius @ Outpost Media, Lowlife Records and its artists.